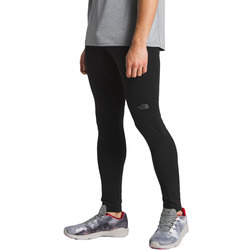 Fleece-powerstretch materials impart the comfort of soft fleece with the flexibility of stretchy spandex. They ensure copious insulation, ideal for workouts and excursions in cold weather. Fitted options are wearable on their own when running and hiking, and they can also be layered beneath a waterproof shell for wetter and colder conditions. Loose-fitting fleece pants are meritorious lounging, camping or exercise pants, and they are unsurpassably comfortable. The best materials are also fully breathable, making them distinguished choices for yoga or other activities that require stretchy fabrics and make you sweat. Inimitable men's fleece-powerstretch brands include The North Face, Arcteryx, Marmot and Mountain Hardwear.